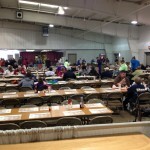 Saturday, April 11th, 2015, Escanaba, MI – It was a beautiful, sunny spring day when Gordon Mielke, the voice of the Gwinn ModelTowners, was live at the Escanaba Kiwanis Club Pancake Breakfast at the Home & Garden Show at the Ruth Butler Building in Escanaba, MI. 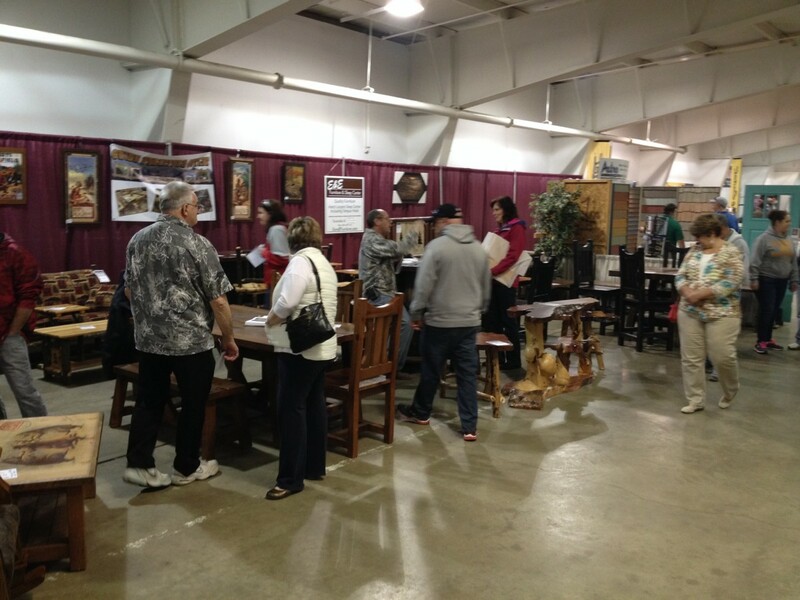 Gordon was joined by Dale from Gwinn Furniture Outlet to bring you all the amazing deals at this annual event! The crowd had the Ruth Butler Building packed to the brim, and they were ready to jump on the amazing deals that were available! Gordy and Dale mingled with all the people that were there to check out the great deals, and they even had a chance to sample the stupendous breakfast that was available, thanks to the Escanaba Kiwanis Club and Gwinn Furniture Outlet! “You can smell the bacon in the air,” stated Gordy as he navigated the crowd, and there was no shortage of delicious breakfast food available! Gordy was live at the Home and Garden Show from 11:00am until 2:00pm on Saturday, but the show was going on all weekend (Friday 4/10/15 from 5:00pm until 8:00pm, Saturday 4/11/15 from 9:00am until 7:00pm, and Sunday 4/12/15 from 9:00am until 2:00pm)! 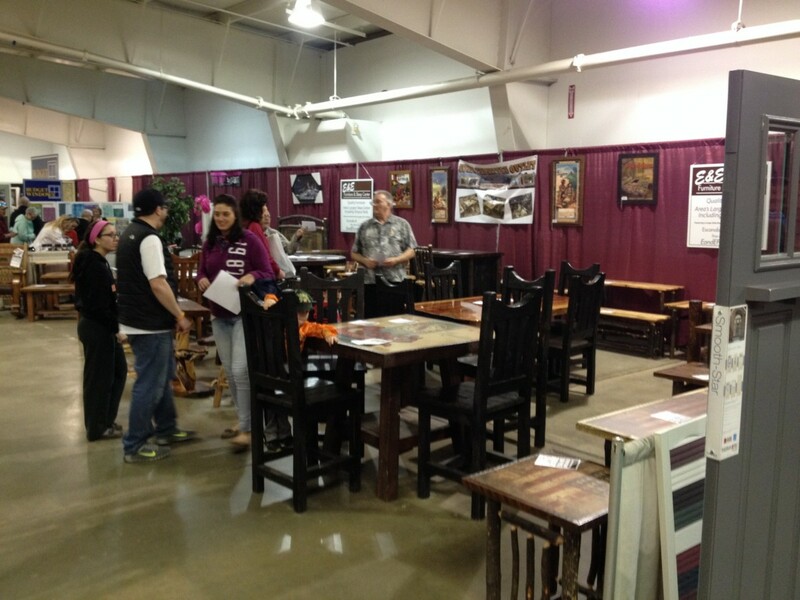 We hope you had an amazing time at the Escanaba Kiwanis Club Pancake Breakfast Home & Garden Show at the Ruth Butler Building in Escanaba, MI brought to you by Dale of Gwinn Furniture Outlet, located in Gwinn, MI and 103.3 WFXD and 92.7 WRUP Escanaba! Gordy and Dale sure had an amazing time hanging out with the gigantic crowd and enjoying the delectable breakfast, and they would like to thank the Escanaba Kiwanis Pancake Breakfast Home & Garden Show, as well as Gwinn Furniture Outlet for making the live broadcast possible! 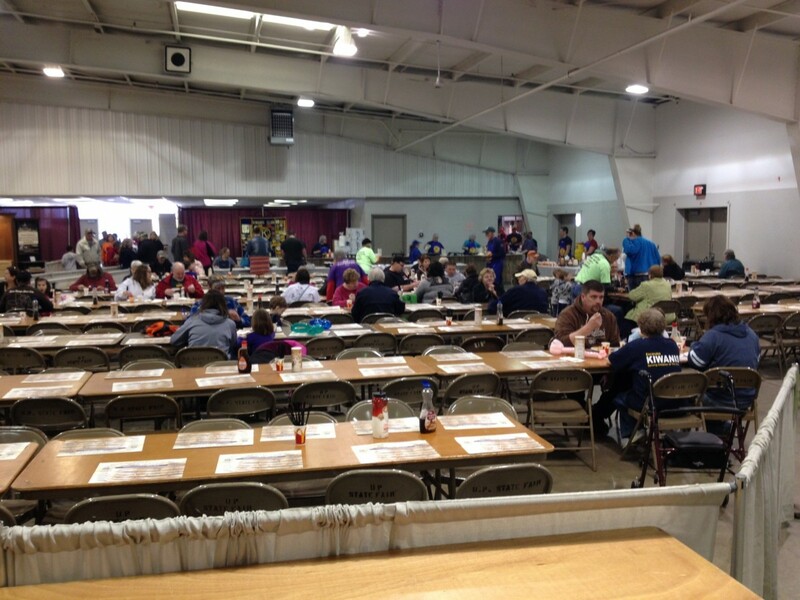 Once again, we all hope you had a wonderful Kiwanis Pancake Breakfast Home & Garden Show with Gwinn Furniture Outlet at the Ruth Butler Building in Escanaba, MI, only on 103.3 WFXD and 92.7 WRUP Escanaba! 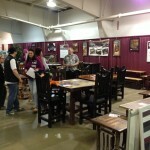 Vendors starting to get set up for the Escanaba Kiwanis Pancake Breakfast Home & Garden Show with Gwinn Furniture Outlet! 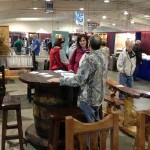 There were still a few open seats left at the start of the Escanaba Kiwanis Pancake Breakfast at the Home & Garden Show with Gwinn Furniture Outlet in Escanaba, MI! 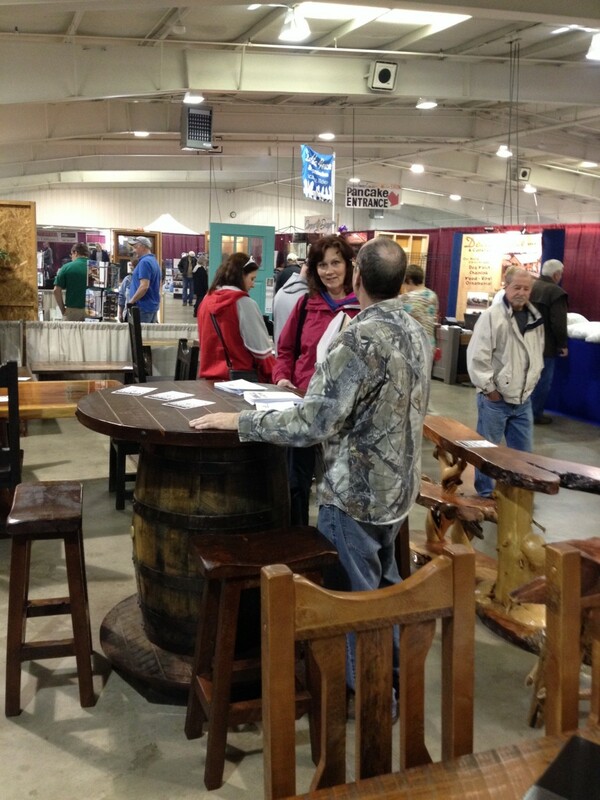 There were all sorts of amazing deals at the Escanaba Kiwanis Pancake Breakfast Home & Garden Show in Escanaba, MI! 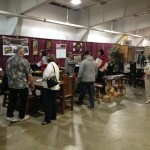 People checking out the great deals at the Kiwanis Pancake Breakfast Home & Garden Show! Listen — #1 Gordon Mielke at the 2015 Escanaba Kiwanis Pancake Breakfast Home & Garden Show with Gwinn Furniture Outlet on Saturday, April 11th, 2015 on 103.3 WFXD and 92.7 WRUP Escanaba! Listen — #2 Gordon Mielke at the 2015 Escanaba Kiwanis Pancake Breakfast Home & Garden Show with Gwinn Furniture Outlet on Saturday, April 11th, 2015 on 103.3 WFXD and 92.7 WRUP Escanaba! Listen — #3 Gordon Mielke at the 2015 Escanaba Kiwanis Pancake Breakfast Home & Garden Show with Gwinn Furniture Outlet on Saturday, April 11th, 2015 on 103.3 WFXD and 92.7 WRUP Escanaba! Listen — #4 Gordon Mielke at the 2015 Escanaba Kiwanis Pancake Breakfast Home & Garden Show with Gwinn Furniture Outlet on Saturday, April 11th, 2015 on 103.3 WFXD and 92.7 WRUP Escanaba! Listen — #5 Gordon Mielke at the 2015 Escanaba Kiwanis Pancake Breakfast Home & Garden Show with Gwinn Furniture Outlet on Saturday, April 11th, 2015 on 103.3 WFXD and 92.7 WRUP Escanaba! Listen — #6 Gordon Mielke at the 2015 Escanaba Kiwanis Pancake Breakfast Home & Garden Show with Gwinn Furniture Outlet on Saturday, April 11th, 2015 on 103.3 WFXD and 92.7 WRUP Escanaba! Listen — #7 Gordon Mielke at the 2015 Escanaba Kiwanis Pancake Breakfast Home & Garden Show with Gwinn Furniture Outlet on Saturday, April 11th, 2015 on 103.3 WFXD and 92.7 WRUP Escanaba! Listen — #8 Gordon Mielke at the 2015 Escanaba Kiwanis Pancake Breakfast Home & Garden Show with Gwinn Furniture Outlet on Saturday, April 11th, 2015 on 103.3 WFXD and 92.7 WRUP Escanaba! Listen — #9 Gordon Mielke at the 2015 Escanaba Kiwanis Pancake Breakfast Home & Garden Show with Gwinn Furniture Outlet on Saturday, April 11th, 2015 on 103.3 WFXD and 92.7 WRUP Escanaba!